As both a glaucoma fellowship–trained ophthalmologist and a busy cataract surgeon practicing in the golden era of microinvasive glaucoma surgery (MIGS), I have many things to consider when treating a glaucoma patient with or without cataracts. To make matters more complicated, my practice is located in the Bronx and Washington Heights, New York. The majority of my patients are underprivileged, undereducated, and noncompliant with their glaucoma medications and treatment plans. As if that were not enough to navigate, we also have insurance companies telling us what we can and cannot do for our patients. This environment has pushed me to become proficient in as many MIGS procedures as possible so that I can best tailor the appropriate treatment plan to each patient. I now regularly perform Kahook Dual Blade ([KDB], New World Medical) goniotomy and utilize the iStent (Glaukos), Trab360 (Sight Sciences), and Visco360 (Sight Sciences). 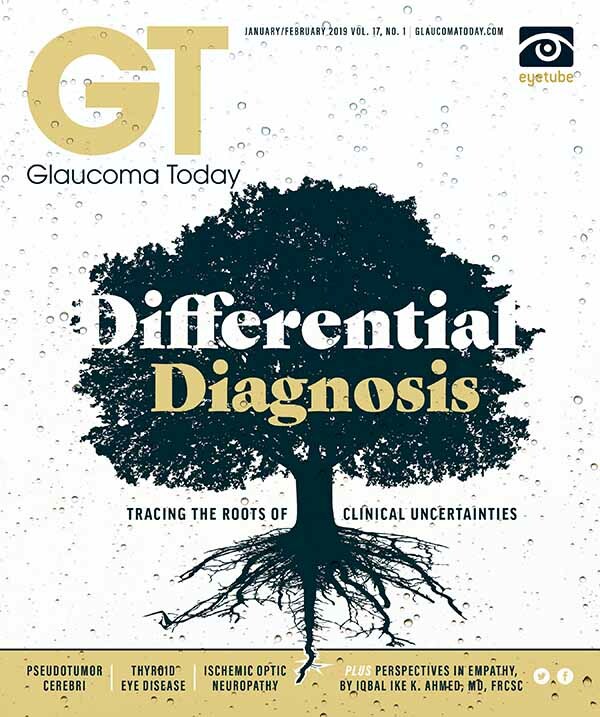 When a patient presents with either a new or remote history of glaucoma and is on at least one eye drop, I assess how advanced the glaucoma is, how compliant he or she is, what insurance he or she has, and if a concurrent cataract is present. I must also weigh the patient’s out-of-pocket cost of being on drops indefinitely against the patient’s out-of-pocket cost for the portion of the MIGS procedure not covered by insurance. For my managed Medicaid patients, my treatment options are limited to goniotomy with the KDB or the Trab360 (CPT 65820). Medicare will cover all MIGS procedures, including Xen (Allergan) implantation. The iStent (CPT 0191T), however, is not covered by insurance as a standalone procedure without a concurrent cataract. After weighing all of my options for a safe, successful, and relatively reasonably priced procedure for both the facility and the patient, either as a standalone procedure or with cataract surgery, I have come to especially appreciate KDB goniotomy. Although not much data are available on the long-term efficacy of the KDB, the 6-month data for IOP lowering and reduction in medication use are promising, especially when combined with cataract surgery. According to a study by Greenwood et al,1 mean baseline IOP decreased from 17.4 ±5.2 mm Hg to 12.8 ±2.6 mm Hg at 6 months after KDB goniotomy, and the number of glaucoma medications decreased from 1.6 ±1.3 to 0.9 ±1.0. The most common adverse event was hyphema, which is typical of any angle-based surgery. In addition to being effective, the KDB is inexpensive for the patient and for the facility in which it is used. I polled one facility where I perform surgery, in New Rochelle, New York, and found that the facility pays $395 for the KDB, previously paid $1,600 for the CyPass Micro-Stent (Alcon; no longer available), and pays $1,900 for the iStent. One can conclude that any out-of-pocket expense to the patient would be significantly lower with the KDB than with other commonly used MIGS devices. As a glaucoma specialist, I am always looking for newer and better ways to combat glaucoma safely and effectively, and these new MIGS devices have given us more options for patients with mild to moderate glaucoma. I look forward to seeing more head-to-head data comparing devices in addition to more long-term data on their effectiveness. For my practice and patients, determining the best MIGS procedure will always be a matter of safety, efficacy, and cost. 1. Greenwood MD, Seibold LK, Radcliffe NM, et al. Goniotomy with a single-use dual blade: short-term results. J Cataract Refract Surg. 2017;43(9):1197-1201.